Activision caused quite a bit of controversy last year when it announced that the Call of Duty: Modern Warfare remaster would not be available for purchase standalone. Rather, it would be bundled with Call of Duty: Infinite Warfare instead, a new instalment in the series which sadly is far from being the best entry in the franchise to date, even if it still ended up being the top-selling game in the US last year after all. But those still playing and enjoying Call of Duty: Modern Warfare Remastered multiplayer will likely be happy to know that Activision will be releasing the Variety Map Pack for the game on March 21, which includes remastered versions of classic Modern Warfare maps. 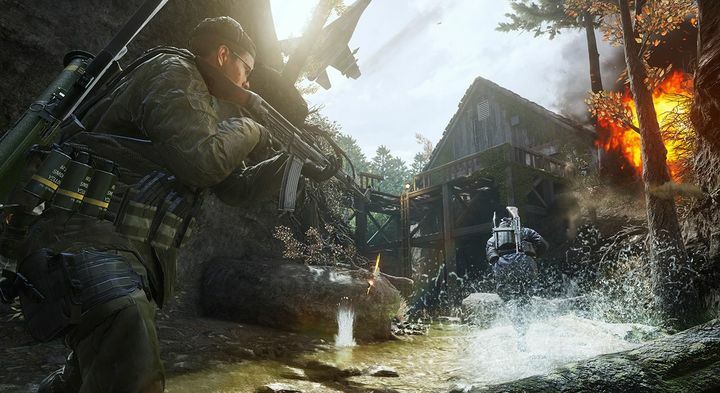 According to Activision’s blog, the maps included are Broadcast, which is based on the TV Station featured in the epic “Charlie Don’t Surf” mission; Chinatown, which is a reimagined version of the Call of Duty map “Carentan”; Creek, set in a wide-open village and in which the terrain favours long-range firefights (careful with those snipers!). And finally there’s the Killhouse map, which lends itself to close-quarters combat instead, as its set in the confines of a training warehouse. Although sadly those gamers wanting to get hold of this map pack (which is priced at $14.99 in the US) and are playing Call of Duty: Modern Warfare Remastered on Xbox One and PC will have to wait until a later date. This is because this DLC will only be available initially for PS4 due to an exclusivity deal with Sony, but will be available for other platforms later this year. Note: The Variety Map Pack for Call of Duty: Modern Warfare Remastered will be released on March 21, 2017. Available on PS4.